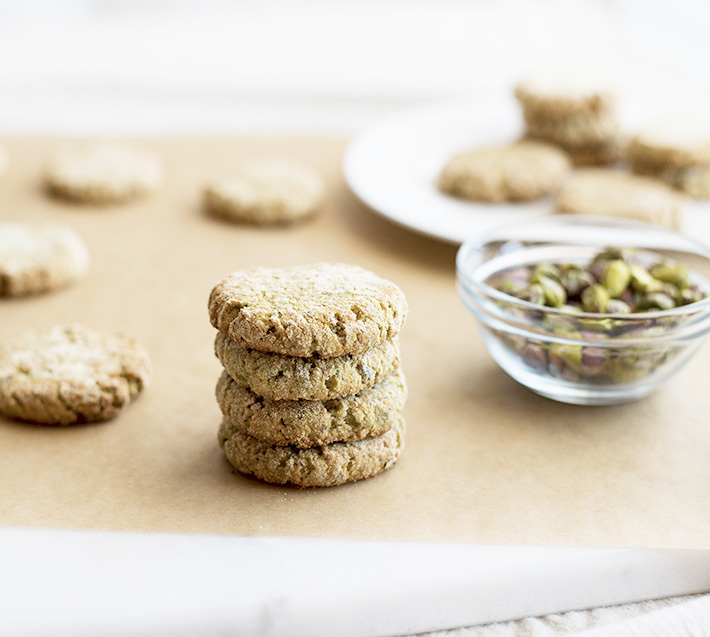 I have never made cookies with pistachios. I now question that decision, especially since I've tasted these delicious treats! 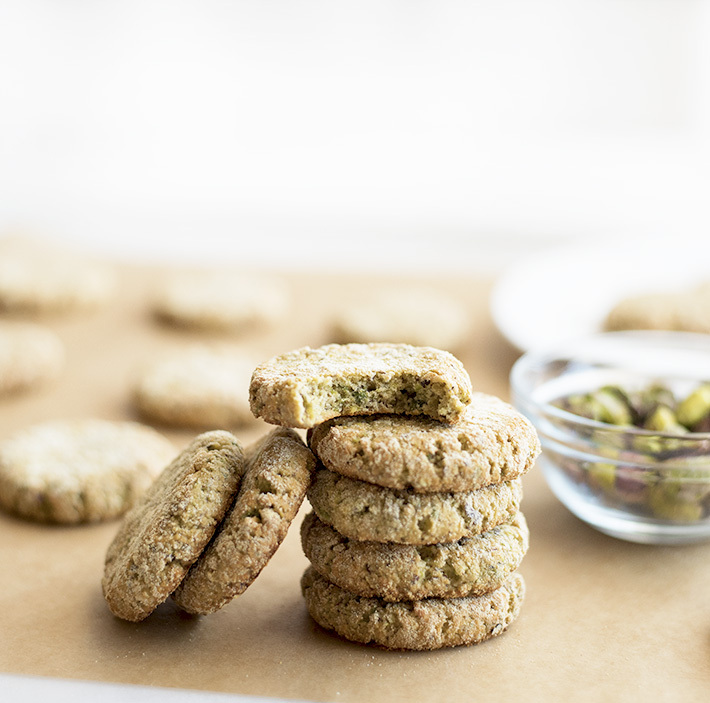 These remind me of a shortbread cookie but with itty bitty chunks of pistachio mixed throughout the cookie dough. 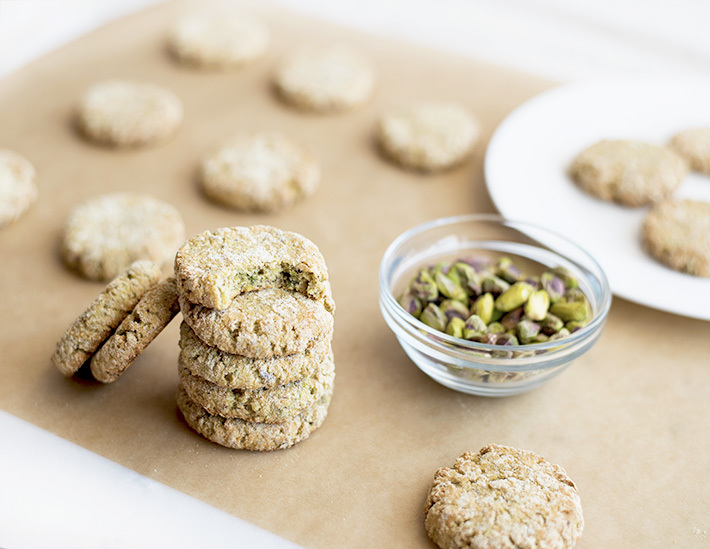 They're low in sugar, too, but loaded with sweet pistachio flavor. 2. 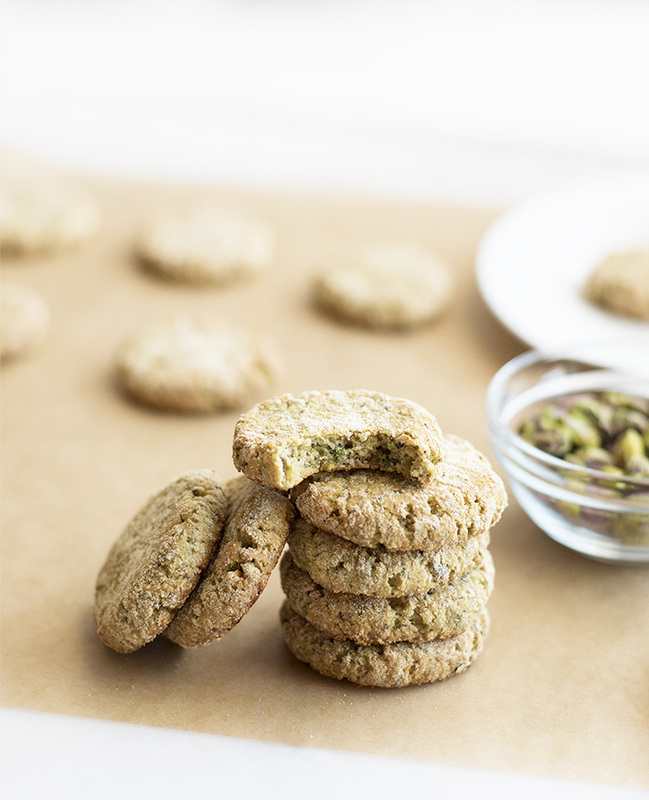 Pulse pistachios in a food processor or blender until pistachios are coarsely ground. 3. 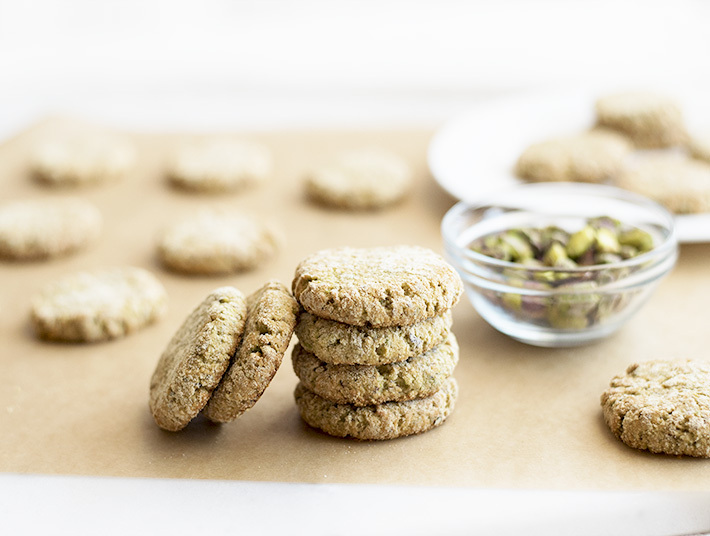 Pour pistachios in a large bowl and stir in oat flour, almond flour, 1 scoop protein powder, xylitol, extract and lemon zest. 4. Whisk together egg and milk in a separate bowl then add to the bowl of dry ingredients. Mix until cookie dough holds its shape when pressed down. 5. Pour the other ½ scoop of protein powder into a separate bowl. 6. Roll about 2 tablespoons of cookie dough into a ball and drop it into the bowl of protein powder. 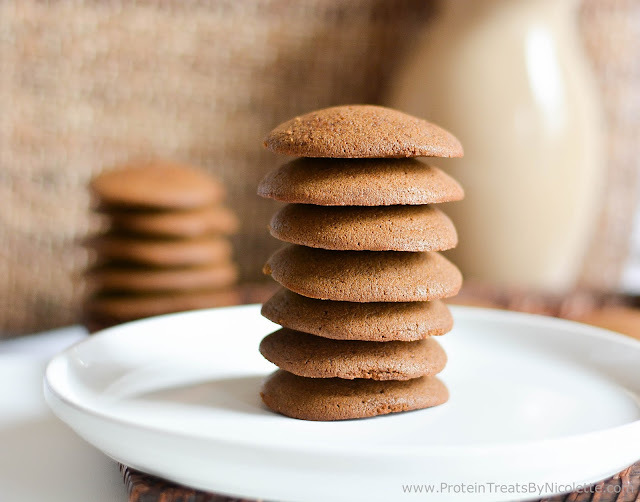 Roll cookie in the protein powder until cookie is fully coated. 7. 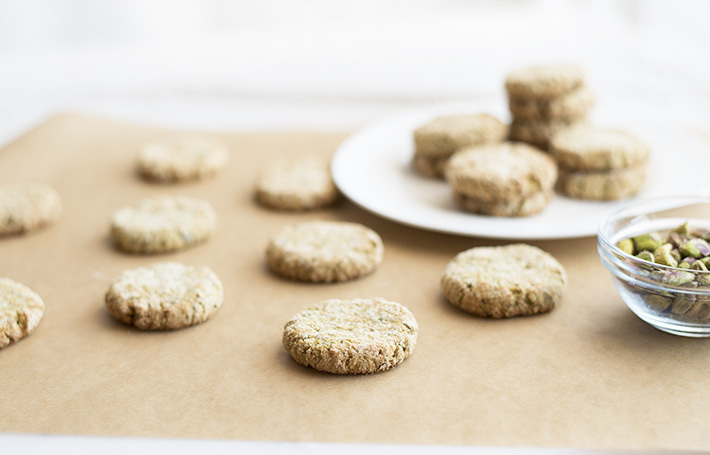 Place cookies on a sheet pan lined with parchment paper and flatten each cookie with the back of a spoon. 8. Bake in the oven for 12-16 minutes. Let cool then enjoy!